Treat yourself with a magnificent Breton lobster, also called the blue of Brittany, be sure to eat a product with an exceptional taste, 100% natural and low in calories. Packed in fresh seaweed for transport, it will be delivered fresh and alive ! 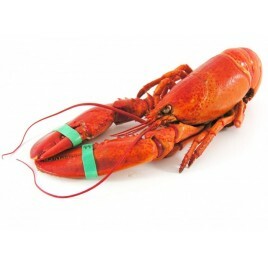 Lobsters from Brittany are the most sought after type of lobsters by sea food lovers. The quality of its flesh and its unique flavor make it an exceptional dish ! 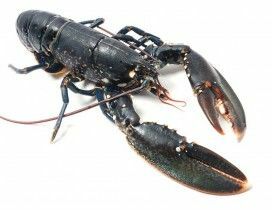 They are amongst the most famous lobsters because they are a prestige product with the guarantee of an exceptional taste, but also 100% natural with low colories (less than 80kcal / 100g - 334 kJ).